A belly button piercing is a favorite type of piercing that is in the area around the navel, and this is why some people also refer to it as a navel piercing or umbilical dip piercing. For most people, it heals quickly without any problem which is in about six months but for others, it may take up to nine months. However, if you take good care of it by keeping it clean and ensuring that the piercing is by a professional, then you should not have any problem with yours. Although cases of rejections are not very common, they can still happen with this type of body art, but the shape of your navel will give an indication of this and so your piercer should advise accordingly. It is a charming body art if you get it right, and you can accessorize it with some fine jewelry to create a breathtaking appearance. Cultures from all over the globe have a rich history of body modification, and this goes back centuries. 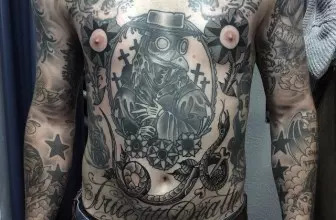 Body modification ranges from simple things such as tattoos and piercing to other more extreme procedures such as sharpening teeth and neck stretching. In ancient times puncturing your body intentionally was a sign of manliness and courage, and so people would pierce different places including their belly buttons to show their courage. Some historians also claim that the Pharaohs in ancient Egypt believed that having an earring on the navel was a sign of their readiness to transition from the earthly life to eternity. Although there are no accurate records on the history of belly button piercing, all evidence points towards it being as old as most other forms of body art. From the Egyptian aristocrats to the jungle tribes in the Amazon, navel piercing has always been a part of the tradition of most societies. However, the modern form of this body art is only a couple of decades old and most people will often credit Alicia Silverstone for popularizing it a 1993 music video by Aerosmith. Christy Turlington also showed her navel piercing at a London fashion show in 1993, and this also helped to increase its popularity with her fans. Choosing the right jewelry for your belly button piercing is one of the most important decisions that you have to make when getting this beautiful body art. Before you even think about going to a piercer to get the piercing you have to do some research on the materials that make the jewelry that you will have on your belly button. It is more important to do this for the navel than other places because it is a very sensitive area and the metals will be coming into contact with your body fluids. Having an unsuitable metal could cause your jewelry to corrode, rust or tarnish and this can be a disaster in such a sensitive place. One of the best metals that you should have is surgical stainless steel because you will never have to worry about allergic reactions or deterioration. Surgical Titanium like the kind that you find on denture implants is also perfect as it can hold anything without corrosion and rust. For those that are allergic to metal then Tygon Plastic is an excellent alternative, and robust 14 karat gold will also be ideal for your navel piercing if you prefer something shiny. However, before you go for your expensive gold ring, it is important to keep in mind the fact that it is soft and can bend when warm and so you should remove it when sunbathing. Once you choose a perfect jewelry for your belly button piercing the next step is to go for the actual procedure. The procedure is the most important part, and so the first thing that you will need to do is to conduct some proper research so that you can find the best piercer and most preferably one that specializes in piercing the navel. Although various people have a different pain threshold, it is important to know that the procedure is not as painful as most think. Finding a good piercer and booking an appointment should not be a problem because there are many available, and a tattoo shop will be the best place to start your search. The room where you will get the piercing should be spotlessly clean and make sure that the chair has a plastic covering to prevent any germs from coming into contact with your piercing and also to catch the fluids. Before the procedure starts, make sure that the piercer washes both hands thoroughly and wears a mask and a new pair of surgical gloves. After the preparation, the next step entails exposing your navel and scrubbing it with a surgical wash to sterilize the area before you pierce it. It is important to ensure that your piercer gets a look at your navel before the procedure so as to know how to go about it or if it is pierceable. After sterilizing the area, the next step is to pierce it with a surgical needle and then finish by threading your sterilized jewelry in place. Before you leave the piercer will need to wash the area to get rid of any fluids and also pat it dry. The procedure is not very painful, and you will only feel a slight prick or pinch, but some piercers will still prefer to give their customers some topical anesthetic. Your navel piercing is just like any other wound, and so you need to protect and take good care of it. And so you should take maximum caution and always wash your hands before you touch the piercing. You might not always remember to clean your hands and so the best thing will be to avoid touching the navel area unless you are cleaning it. It is also natural to get preoccupied with your new piercing, but you should avoid fiddling with it. Moving your beautiful navel jewelry around will add extra irritation to the site, and so it will not heal fast. It is also important to avoid wearing very tight clothes or those that will keep on rubbing on the area. Cleaning is vital for your belly button piercing as this is what prevents infections and also helps it heal fast. Although it is advisable to keep the area clean, you should not wash it more than twice a day because if you keep on disturbing the wound, it will not heal fast enough. You should use liquid soap and make sure that you clean your hands first and disinfect them if possible before you touch the piercing. When cleaning, you should rub the soap gently around the ring but make sure that you move it as little as possible. After rubbing the soap, you can rinse it with some warm water or wipe it with a damp cloth and finish by patting with a cloth so as to leave it dry. It is also advisable to rinse your navel piercing with salt water after washing. To do this, you should mix a quarter teaspoon of sea salt in boiling water and then leave the mixture to cool for a while. You should then put the mixture in a small glass and then invert it on your stomach securely to create a vacuum. Allow the salt water to soak on your wound for a quarter an hour. The salt is, ideal for getting rid of bacteria, and it can also remove any crust in the area. It is advisable to avoid swimming and using bath tabs until the wound heals and also take vitamins because they stimulate healing. If you take good care of your belly button piercing, then you will likely not have any complications. However, even with the best care in the world sometimes the wound may develop some issues, and it is important to know the symptoms to look out for and also what to do. You should look out for things such as discharge coming from the wound to know whether the piercing has any complications. Excessive pain, redness, and swelling, jewelry shifting its position, skin opening larger than normal are the other common symptoms. Depending on the type of symptoms the piercing may be going through a simple irritation or infection, rejection, migration or an allergic reaction to the jewelry (metal). Mild irritation may be as a result of things such as the ring being too tight or loose and effects of going swimming or using a bath tab. It is easy to deal with it and to continue with your routine cleaning and taking care of the cause should be enough to get rid of the irritation. An infection is also easy to deal with, but this will depend on the extent because some severe cases might require you to visit your piercer for advice or a doctor for some medication. Rejection, on the other hand, may not have any solution because some people just can’t heal a navel piercing no matter how many times they try but this is in very rare cases. Metal allergies are also not very common, but you might not know if you have it until you get the belly button piercing. In case your piercing portrays signs of allergy towards the metal this should not worry you because there are some remedies available. It might happen a few hours after getting the piercing or even some days later. Itchiness around the area that may turn into a rash is a good indication of an allergic reaction. You should contact your piercer as soon as possible so as to change the jewelry and visit a doctor for treatment. There are also some home remedies that you can use but consulting a doctor is the best option. Once the piercing heals you will probably want to remove your jewelry and clean it or change it to something fancier than what you have. When removing the ring for the first time, there are some things that you have to do and others to avoid. First, it is vital to ensure that the wound is healed because if it is not the hole might close or shrink. Also make sure that you wash your hands, the piercing and the area around it. You should then twist and slide the ring to make sure that it has not adhered to the skin and in case you feel any pain, you should go back to the piercer for some expert examination. However, if it is not painful and you can remove the ring make sure you clean it and also sterilize the new ring before you insert it. A belly button piercing is beautiful and very trendy, but one cannot overemphasize the importance of using a professional to get one and also having some evaluation. Evaluation is important because it helps to determine whether your navel is pierceable to prevent rejections and severe infections. The only other thing that you have to keep in mind is that you will need to take a lot of care for the wound as it heals.